Great as a wiping cloth or drying cloth. When someone comes to your gym for a workout, they want to be able to easily wipe away the sweat that results from a hard workout. 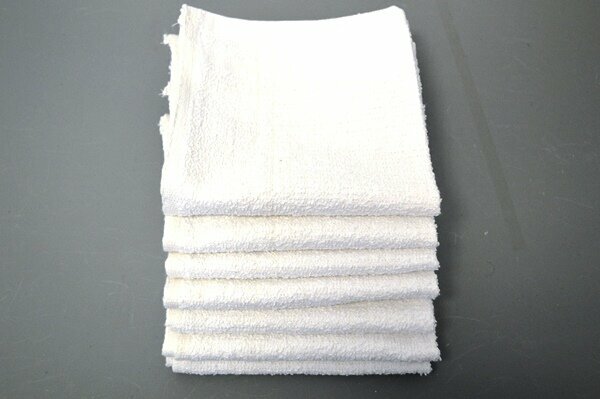 Why force your patrons to bring their own towels when you can offer white washcloths for all their needs? 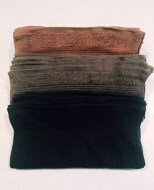 Our wholesale washcloths are perfect for so many gym uses that you'll wonder how you got along without them. 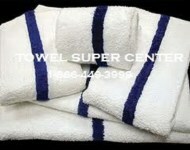 Plus, you'll enjoy deep discounts thanks to Towel Super Center's practice of passing savings along to customers. 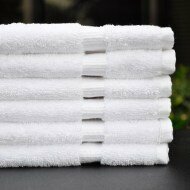 Hotels: Not only do hotels add economy white washcloths to their array of guest room towels, but they often place them in areas like fitness facilities and even public restrooms. Pet Groomers: Fido enjoys the fluffiness of pure cotton as much as his owner! When you're using a washcloth constructed from tough, natural fibers, patrons notice. Nonprofits: Some nonprofits put together care packages for people in need. 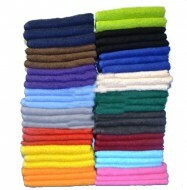 Among the most needed, useful items are wholesale washcloths. Car Washes: Occasionally, you need to make sure you have a smaller towel to do precision car detailing. That's when a wholesale washcloth in a 12" by 12" square provides just the right touch. Schools: Does your school have a gymnasium you stock with towels for your athletes? Be sure to include plenty of white washcloths, too. When it comes to cleaning up the messiest jobs at your business or home, you know inexpensive white washcloths get the tough work done. You don’t want to spend a fortune on them, though — which is why Towel Supercenter sells economy white washcloths in bulk sizing! 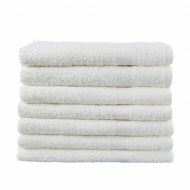 You can get all the inexpensive washcloths, hand towels, bath towels and linens you need at Towel Supercenter. We supply businesses such as gyms, hotels, salons, barber shops, spas, pools, medical offices and more with low pricing, durable goods and quality service. You won’t be disappointed when you shop for towels and linens at Towel Supercenter! Make Towel Supercenter your home for wholesale towels today!